3. How is the book? My publisher rushed a copy to me so I could give it to her before we lost her. And this week as she slipped away my sister read it to her again. As many as my family could flew in and we gathered around and told stories and sang. Our Navy son “haze, grey, and underway” called in from satellite phone and sang with us…Edelweiss, Edelweiss, every morning we greet you…remembering our days stationed in Germany. All I could think of was the section in the book where I wrote ” I need you to be here.” I need you to be here too Momma. But I know you will be on the wings of angels-and I am counting on you to be in every cockpit and in every dangerous place they may be sent. I am glad the guardian angels will have some extra help. Godspeed faithful servant. I am very sorry for your loss. 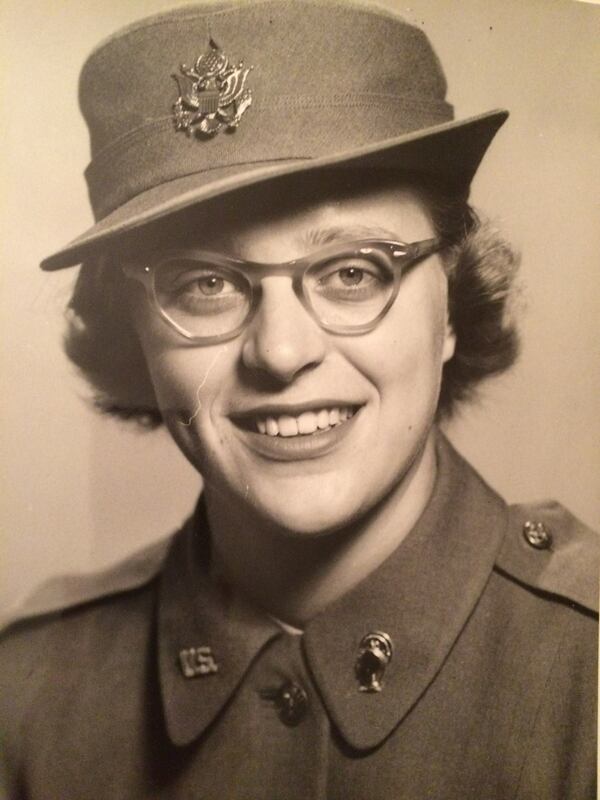 I would like to read more of your mother’s life – how she served our country. May god’s grace be with you and your family. Beautifully written, Elaine. And in those few words, “I need you to be there ” you have summed up grief. We are fortunate. They left us prepared. And in so many ways, they are so much a part of us, they will always be here. I remember when I met your mother; I knew immediately where you came from –capable, confident, and a friend for life! What a wonderful tribute to your Momma, Elaine!! My tears are coming for you. I’m so very sorry!! How blessed to have had your mother with you, by your side…..she will live in your words and those of all her children. thoughts and prayers to all of you at this sad time. Losing your Mom at any age and in any circumstance is so very hard. She is the first heartbeat you hear, the first voice. The first lessons learned come from Mom. May God’s perpetual light shine upon her and may He grant her family the peace that comes with the sure knowledge of that light. God Bless and Keep you all. No matter our age, the tears flow. And mine now as I read of your loss. I am so sorry. But I do believe she will be there in a way we will one day also understand. She will be protecting you all. She is now in God’s arms. Rest well. Comfort and peace to you and your whole family. I am so sorry for your loss. I will you keep you and your family in my prayers. I read this as I am at the post office sending your book to 3 of my new “Air Force Academy Class of 2019 ” moms that I have befriend since our girls will be on the gymnastics team together. I have a daughter who is s plebe at the Naval Academy and your words of advice and experience are priceless. Thank you for everything you do and I pray for our loving God to hold you and your family close during this time. I’m So sorry for the loss of your beloved Mom. She will always be in your heart and watching over your family. “Let not you heart be troubled; you believe in God, believe also in Me. In my Father’s house are many mansions; if it were not so , I would have told you. I go to prepare a place for you. And if I go and prepare a place for you, I will come again and receive you to Myself; that where I am, there you may be also. And where I go you know, and the way you know.” John 14: 1-4. USNA Mom ’17. I am so sorry Elaine. Its never easy to say “later”……but what a legacy your Mother left…..great kids, great family and great memories……what more can a person ask for?….she had Joys, adventure…….and from the sounds of it..a great death…as far as nature goes. I hope I can handle it as gracefully as you did when its my turn to say “later”….. This is a sweet and beautiful tribute, it brought me to tears. I am so sorry for your loss. Prayers of comfort for you and your family. She sounds like an amazing women and what a legacy she has left. Prayers for you and your family as you go through this sad time. What a comfort to know she is now with Jesus. Beautifully written. I will never forget her and the love she showed me. You can count on her and your dad guiding and protecting your family. You are in the thoughts and prayers of so many…! I lost my mom last fall…it’s hard to lose your mom, no matter how old you are! She was in the Women’s Royal Enlisted Navy (WREN) in WWII. She was so excited that our daughter is at USNA…I wish she could have lived to see her commissioned! I’ll be praying for God’s strength and peace for you and your family. Such a beautiful tribute. Sometimes when you speak of your mom so lovingly describing all her wonderful attributes, to me its like you are describing yourself. She lives on within you! What a wonderful tribute to your sweet Mom. I wish you all peace and blessings. Very sorry about the passing of your Mom. Praying for comfort for you and your family.